Blustery day at the bet365 Stadium. 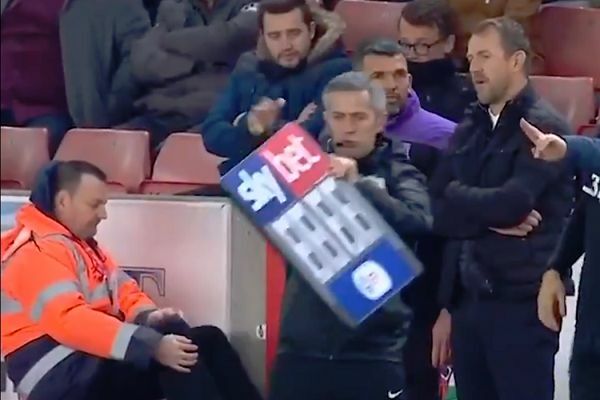 It was such a windy day that the substitutes board almost blew away during Stoke’s 0-0 draw with Middlesbrough at the bet365 Stadium on Saturday. Tony Pulis returned to his old side and ended up with the kind of goalless draw he might cynically be associated with, although it was a relatively entertaining one. One amusing incident came when Middlesbrough’s Lewis Wing replaced Stewart Downing in the 73rd minute, with a touchline official having to tightly grasp the subs board to prevent it blowing off.